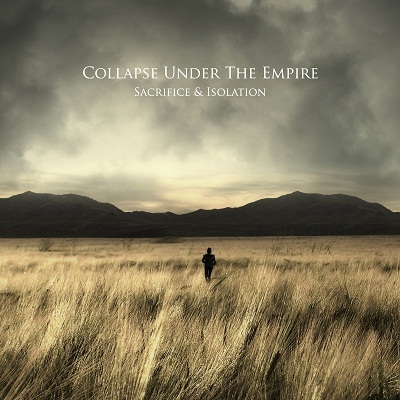 Collapse Under the Empire’s new album is dedicated to the people who lived and died for their ideals. Such declaration calls for a certain commitment in the music, and I am happy to discover that ‘Sacrifice & Isolation’ stays true to this commitment while not sounding pretentious or too bombastic. ‘Sacrifice & Isolation’ takes post rock to dramatic highlights where the emotional waves of bands like Sigur ros meet electronic beats. This is urban melancholia meeting epic story telling. “Sacrifice” is a great opening and “Awakening” sounds like a soundtrack for a bombastic movie scene. The connection between the musical ideas is intelligent and gentle, even in the more intense parts of this album. “Stairs to the redemption” is yet another dramatic climax in the work of Collapse under the Empire. Overall, this is a very good work, from artwork to music, and a very satisfying album to listen to.